Positive growth and momentum continues to build for BimmerWorld Racing as the four-car GRAND-AM team announced the signing of Roswell, Georgia-based United BMW as the team’s official supplier of BMW OEM parts. With BimmerWorld’s expansion to four cars in the GRAND-AM Continental Tire Sports Car Challenge racing series this year, the need to keep its two production-based BimmerWorld M3s and both BMW 328is prepared with the highest quality factory BMW parts is greater than ever. Together with United BMW’s support for the 2011 racing season, BimmerWorld owner/driver James Clay says the collaboration between the two companies will compliment BimmerWorld’s racing efforts and their thriving street car business. With performance at the heart of everything BimmerWorld does on and off the race track, United BMW’s extensive stock of BMW Performance parts will find their way into cars that pass through BimmerWorld’s facility in Dublin, Virginia as well. In kind, United BMW will also benefit from BimmerWorld’s impressive line of race-proven aftermarket products. United BMW’s Steve Maguire says that joining forces with BimmerWorld’s aftermarket and road racing businesses will help to showcase their extensive BMW catalog. 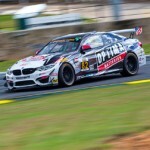 The growth in popularity of the Continental Tire Series, coupled with the increase in online and linear coverage of the series, played into United BMW’s decision to align itself with BimmerWorld. With all four of BimmerWorld’s GRAND-AM cars carrying United BMW branding, and a heavy emphasis on the online parts solutions that they make available for BMW racers and enthusiasts everywhere, both parties expect their partnership to help serve the performance-minded BMW owner better than ever. 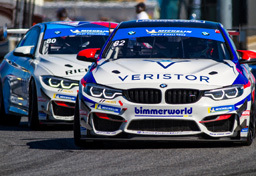 BimmerWorld’s next race–which features the debut of United BMW’s branding on the fleet of BimmerWorld 328is and M3s–is March 5th in Homestead, Florida. 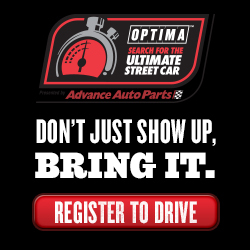 Follow the team’s progress on www.BimmerWorldRacing.com, and tune-in to watch the race on March 19th at 2 p.m. ET on SPEED.